Why Preach in Your Ads? Performance Heat and Air, Inc. is a chosen air conditioning and heating contractor for the Tarrant County area . Richie Blackman and Dwayne Sieben, the owners of Performance Heat and Air, Inc, have both been leading air conditioning contractors for very prominent air conditioning companies in Tarrant County since the mid 90's. Richie and Dwayne started their own air conditioning and heating company because they felt they could better service their clients by duplicating their own high integrity and quality. By having more control of their operation they are able to provide an atmosphere that is better for the client. High pressure sales tactics, that have become common in the industry, are not an issue for the clients of Performance Heat and Air. They will give you the best air conditioning and heating solution for your home and they will stand behind their work....guaranteed! Air Conditioning and Heating related issues require a high degree of technical expertise in order to efficiently repair or replace air conditioning and heating elements in your home, so it is great to know that an inexperienced technician will not be sent to your home. You will be receiving the best possible service from the highly trained and friendly air conditioning and heating contractors at Performance Heat and Air. We have chosen Performance Heat and Air based on the integrity and quality of the ownership and believe their clients will be extremely satisfied with their performance! When you see a "Good" logo on vehicles and company websites, you can rest assured that they are safe to hire! 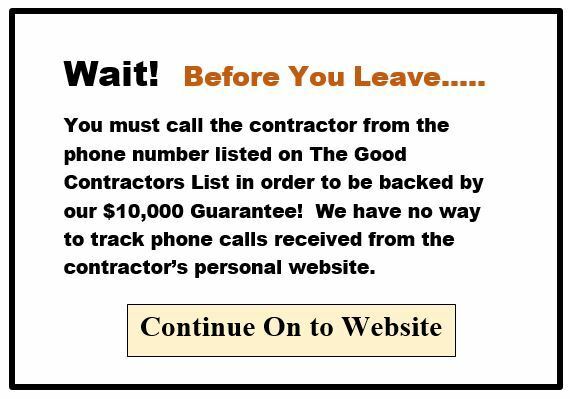 Copyright © The Good Contractors List 2017. All rights reserved.